This wonderful route evokes the places, landmarks and landscapes that populate and provide the background to many of the novels wrtitten by the Brontë sisters, including Wuthering Heights, Jane Eye and Shirley. 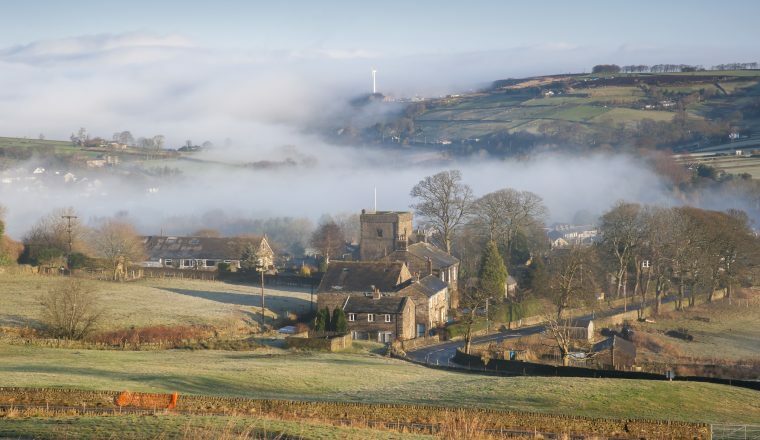 It includes the famously photogenic village of Haworth and the inspiring moorland and crag countryside that offers some of the loveliest scenery in England. This wonderful route evokes the places, landmarks and landscapes that populate and provide the background to many of the novels written by the Brontë sisters, including Wuthering Heights, Jane Eye and Shirley. It includes the famously photogenic village of Haworth and the inspiring moorland and crag countryside that offers some of the loveliest scenery in England. 5 nights accommodation and breakfast in rooms with ensuite bathrooms in selected B&Bs and inns.Transfer from Shelf to start of walk on day one.Luggage transfers from accommodation to accommodationMaps and route notesEmergency back up. Transfer after breakfast to the start of the route at nearby Oakwell Hall (open to the public), which featured in Charlotte Brontë’s ‘Shirley’. 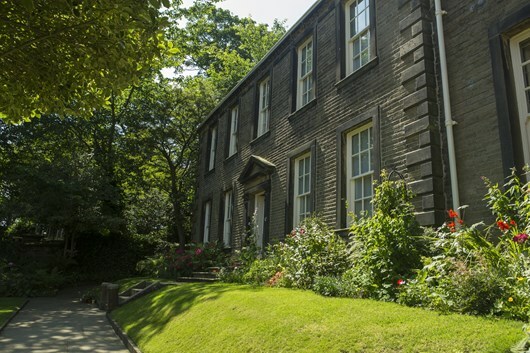 Many of the features of today’s walk have connections with both ‘Shirley’ and with Patrick Brontë. Return to Shelf for second night. Today’s walk passes by the parsonage at Thornton where the four famous Brontë children were born. Then continue across wonderful moorland country suggestive of the countryside that was the backdrop to the Brontë novels and finishes in the picturesque village of Haworth, burial place of many of the Brontës, for overnight. Pass through Penistone Country Park with grand views of the Worth Valley. Then the opportunity to walk via Top Withins, regarded as the Earnshaw house in Wuthering Heights. Some beautiful and rugged country wil take you from Yorkshire into Lancashire and then Wycoller, with associations with Jane Eyre. A lovely finish to the route across moorland, with waterfalls and streams and a possible diversion offers magnificent views from the summit of Boulsworh Hill. The route finishes at imposing Gawthorpe Hall but overnight will be in the old cotton-mill town of Burnley, which has an interesting area of Victorian mills at Burnley Wharf.